RULES: My blog event is open Worldwide + must be at least 18 years old to enter. You'll have until July 31, 2016, 11:59PM/EST to enter. I will be announcing my winner soon thereafter. HOW TO ENTER: Please enter using the Rafflecopter Entry Form below. All entries are optional but the more you do, the more entries you will receive. If that's not enough already, you have a chance to win some cool GRAND PRIZES! 4 Winners will win over $920 rv of prizes! IMPORTANT: You are not eligible if you have won from any sponsor in the last 12 months, this includes contests on other websites. Teach My – Teach My Kindergartener – See review HERE. Mixcder - ShareMe Wireless Bluetooth Headsets - See review HERE. Mixcder - Mic5 Microphone Inline Control Headset - See review HERE. I SEE ME! –My Night Before Christmas Personalized Book – See review HERE. John Boos - Oval 24x18x2-1/4” thick maple edge grain cutting board - See review HERE. Stefilia's Little Stones - Let It Shine CD - See review HERE. This giveaway is in no way endorsed, affiliated, or associated with Facebook, Twitter or any other Social Media Networking Site. You are not eligible if you have won a prize from any of the sponsors in the last 12 month. This GRAND PRIZE Giveaway is valid in the Continental United States Only and Entrants must be 18+ years of age to enter. This giveaway event will end at 11:59 PM (EST) 7/31/16. The winners will have 48 hours to email their information back to las93063 at gmail dot com or a new winner will be drawn, you may want to put this email address as safe as it could go to spam. The sponsors are each responsible for shipping of the above prizes. No blog associated with this contests are responsible for prize fulfillment. If you would like to be a sponsor in a giveaway like this please email Laura Smith at las930 (at)gmail (dot) com. 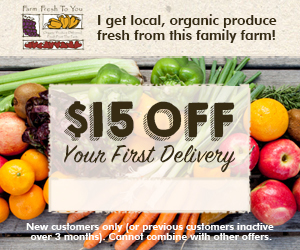 Enter for a Chance to Win the GRAND PRIZES Use this Giveaway Entry Form Below. !! !THERE'S MORE PRIZES TO WIN!!! However, that's still not all...YOU have a chance to win many more prizes by visiting the blogs in the linky, posted below. Each blogger has their own particular prize for this Christmas in July Blog Hop event so you must visit their blog to enter. Disclaimer: Selena Thinking Out Loud will contact the winner of the $25 Amazon Gift Card or PayPal Cash (winner chooses), via email address. All other blogs and prizes mentioned in this post are fulfilled by their respective blogs. Please contact them for prizes. This blog post also contains affiliate links that if clicked on I may receive a small commission to support this blog. We had a new TV antenna so that's what I'd buy. I will pick the Amazon Gift Card please! Thanks for an awesome giveaway! If I won, I would choose the Amazon GC. I would choose the paypal if I win this. I would pick the paypal cash, thank you. I would choose the paypal cash. If I were the winner I would pick PayPal. I'd choose an Amazon gift certificate. I spend most of my money there anyway. I would choose Paypal if I won. I would probably choose Amazon! Thank you! I would pick the paypal if I won. If won I would choose the Amazon gc. I would choose Amazon, :) Thanks! I would choose the Amazon Gift Card! I would love the Amazon gc. 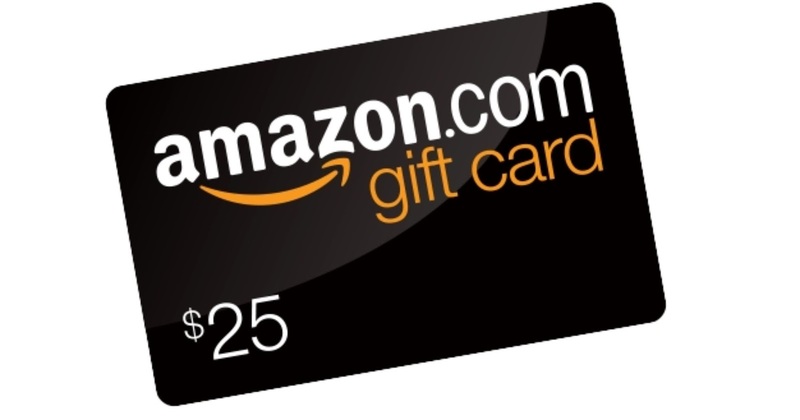 If you are the winner of the $25, will you choose an Amazon Gift Card or PayPal Cash? I would choose PayPal. Thank you! If I win, I'll choose Paypal. Thanks for the giveaway! If I won I would love the paypal cash! I would like the Amazon GC please. Thank you soo much for the opportunity! I would choose Paypal if I was the winner. I love Amazon but I would choose Paypal, I can always use a little extra money. I'd choose PayPal - thanks for the chance! I would choose Amazon, my TBR list is piling up abd I'd love to get a few books for the Summer. I would probably choose PayPal. 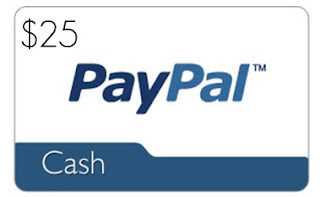 I have never won PayPal cash before and it would be so much fun! Either one, as it goes for cat food. I would pick PayPal cash if I won. If I won I'd pick the Amazon gift card. Thanks so much. 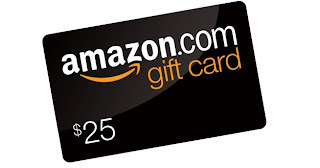 I'd pick the Amazon gift card because I have a ton of Kindle books I want! I would pick PayPal, I could use the cash for taking my husband out to dinner for his birthday next month. I would choose Paypal, although I really enjoy using both. Thank you so much for the chance to win. I would choose the Paypal cash! Thanks so much for the giveaway! I would choose Amazon gift card if I won. I would choose the Amazon gift card. Thank you for hosting this giveaway! If I win I would pick Paypal so I could use it toward clothes! I would choose an Amazon gift card. Thanks. Either PayPal or Amazon would be wonderful! That said, I would choose the latter. I wouls pick PayPal. More options in how to use it. I would choose Paypal 'cos some shops on Amazon don't ship to countries outside the US. If I win, I would choose the PayPal cash. I would choose paypal! Thank you. I would choose Amazon gift card. I would probably pick the Paypal cash. I would choose Amazon. Thank you for the opportunity! If I am lucky enough to win this, I would choose the PayPal cash. I'd choose Amazon. They have everything! I would choose Paypal cash! Thank you!